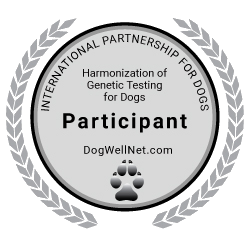 Canine Multiple System Degeneration (CMSD) is a fatal, hereditary movement disorder. Affected dogs develop cerebellar ataxia at 3-6 months of age. First clinical sign was typically an intention tremor of the head, followed by goose-stepping gait in the thoracic limbs. Due to progressive instability falls get frequenter. Most dogs were euthanasized at 1-2 years of age.